June 2: Missing service history | What Car? If youre told the car you are buying has a full service history, thats exactly what you expect it to have. Especially if you buy an approved-used Mini, because having a full service history is a requirement for a car to be sold under the Mini Cherished banner. 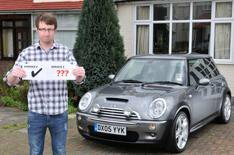 Luke Ireland was told his 2005 Mini Cooper S had every box in the service book ticked when he bought it from Cooper Croydon Mini in August last year. When he checked the book, Luke found it had covered 15,000 miles since the previous service, but the service indicator suggested another one wouldnt be needed for another 15,000. I raised the issue and was told it was a case of the service book not being stamped at the previous dealer and that they would get an updated booklet sent to me, Luke said. However, eight months after buying the car, Luke was still waiting, in spite of chasing Cooper Croydon Mini and Mini customer services. We contacted both Mini and the dealer principal at Cooper Croydon, Tony Head, who told us that the management at the dealership had only recently become aware of the problem. We have spoken to the Mini dealer who performed the service. They have confirmed they are returning the stamped book to us today. At long last, Luke should finally have the service history that was his by rights from day one. The alloy wheels on Roger Stones 2006 Ford Mondeo are losing the chrome finish around the edges. This is the second set of wheels this has happened to, as these alloys have only been on the car since September 2008. What can Roger do? Wed suggest an independent inspection of the wheels to determine whether the problem with the finish is a manufacturing or design fault, or due to some other external factor.